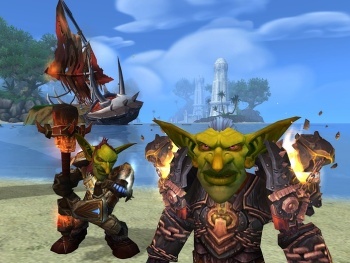 Activision CEO Bobby Kotick says the company will step up the pace of World of Warcraft content releases to try to staunch the flow of departing subscribers. You have no doubt heard by now that World of Warcraft shed a whopping 1.3 million users between January and March of this year and while the 8.3 million subscribers remaining represents the sort of user base that most MMO makers would kill for, it's a huge loss for the King of Kings. And although Activision CEO Bobby Kotick claimed he's not worried about the slide, he's nonetheless determined to do something about it. "It's important to note that the nature of online games has changed, and with the environment becoming far more competitive, especially with free-to-play games," Kotick said in a first-quarter earnings call to investors. "To address this, we're working to release new content more frequently to keep our players engaged longer and make it easier for lapsed players to come back into the game. We believe in the long-term value of this franchise and will continue to commit substantial resources to World of Warcraft." Blizzard President and CEO Mike Morhaime echoed Kotick's remarks about the increasingly competitive MMO market and the ongoing need to "invest in additional updates and improvements to continue to evolve the game," but he also talked about the need to grease the wheels for lapsed subscribers who might be thinking about a comeback. "More specifically, we're examining ways we can ease the transition back into the game for returning players," he said. "We've always seen players come and go from World of Warcraft. Smoothing out that transitional period is something we're studying, as we adjust our approach to player behavior and preferences." Despite World of Warcraft's slide, don't feel the need to shed too many tears for Blizzard just yet. Thanks primarily to the launch of StarCraft 2: Heart of the Swarm, Blizzard brought in $330 million in revenue over the first three months of 2013, a 31 percent increase over the first quarter of 2012, while it's operating income leaped by 52 percent to $135 million.